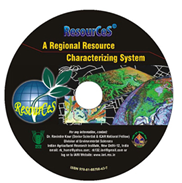 The ResourCeS � a customized regional Resource Characterizing System integrates all non-uniform and de-centralized resource information at one place in a uniform format.This tool efficiently transform any number of data layers into information layers which can be queried to assess extent and source of varied resource degradation problems. Using ResourCeS, a decision maker can obtain (customized) spatial information on water use, water productivity and soil, water and vegetation health of any region. ResourCeS is a copyrighted technology with an customized regional Resource Characterizing System.This technology is highly efficient in uniformly centralizing all resource information at one place.This tool can efficiently transform any number of of data layers into information layers.This tool will effieciently help a decision maker to obtain spatial information about water, soil and vegetation of any region. 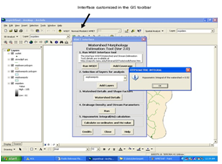 Watershed Morphology Estimation tool is a GIS based software written in VBA pogramming language for watershed delineation and estimation of Watershed Geomorphological Parameters.This tool can also be used for classroom teaching and imparting training to users of geospatial technologies.This tool is freely available to researcher and academicians on an email request. 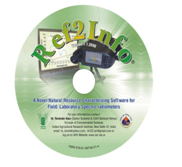 Reflectance to Total Information Content is a novel Natural Resource Characterizing Software for field/ laboratory spectrometers.It is user friendly technology that computes the total information contained in the entire reflectance spectrum of a specific earth feature and used to process spectra with any number of spectral channels greater than 2. Ref2Info Ver. 1.1.2000 is a copyrighted software technology for field/ laboratory spectrometers.User friendly and computes the total information contained in the entire reflectance spectrum of a specific earth feature.After its integration with a spectroradiometer, it can be used for moisture status of soils / crop specific fertilizer/ irrigation recommendations and other mass applications. 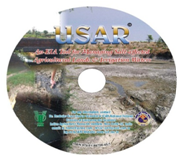 USAR is a copyrighted EIA tool for managing salt affected agricultural lands and irrigation waters.Used to assess short/long term impacts of a range of (geo) climatic/ hydrologic conditions, water management options and crop rotation schedules.The tool includes input parameters for 50 typical crop types commonly grown in India. IRRIMETHOD a software system for selection and designing of irrigation methods.This software have detailed exhaustive list of of parameters influencing selection of irrigation method, according to these parameters software design the irrigation method. IRRIMETHOD is a software tool for selection and designing of irrigation methods.This softwrae is used to design irrigation system based on details of soil, climate and crop systems.This software has a detailed list of all the parameters influencing irrigation methods.Currently 22 Precision Farming Development Centres are using this software with complete excellence. 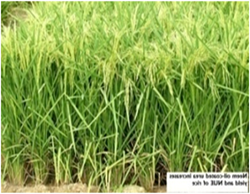 FERGON is a software for scheduling fertilizer application in drip irrigated horticultural crops.This involves a complete calculation of fertilizer requirement in a given soil, climate and crop environment. This software also accounts for the capacity and limitations of the drip system hardware used in the field.